Defining the border between Mexico and the United States has not always been in the hands of politicians; at one point, a shift in the Rio Grande River created a new boundary and generated a diplomatic dispute. In February 1848, the Treaty of Guadalupe-Hidalgo ended the Mexican-American War and designated the Rio Grande the boundary line between the two nations. 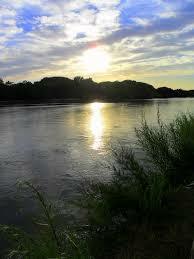 However, due to flooding and the changing flow of the river, over time, the banks of Rio Grande shifted. 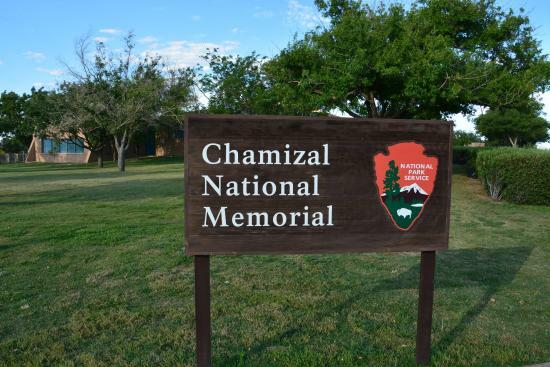 The alteration was so significant that a 600 acre piece of land between El Paso, Texas and Ciudad Jaurez, Chihuahua, known as the Chamizal, went from being in Mexican territory to north of the river in American territory. 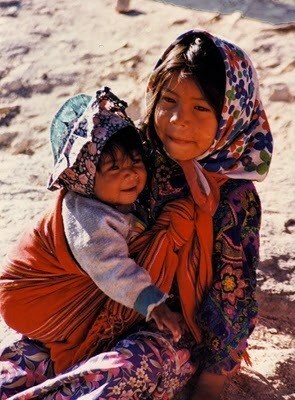 Americans began to settle in the Chamizal and incorporated the land into the city of El Paso. In 1895, the Mexican government, which claimed the land as part of Mexico, elevated the dispute to the International Boundary Commission (IBC), a body of U.S. and Mexican officials. Four years later, the IBC created a cement track to redirect the Rio Grande and avoid future floods, a project jointly funded by the U.S. and Mexico. This man-made alteration moved yet another piece of land, Cordova Island, from the Mexican to the American side. Later, the Arbitration of 1911 awarded the Chamizal to Mexico, but the land remained disputed and Americans continued to live there. Cordova Island, an essential “no-man’s land” for decades, became a haven for illicit activities from drug smuggling to human smuggling. Both the Chamizal and Cordova Island remained a source of friction between the countries. In 1962, amid the tensions of the Cold War, American President John F. Kennedy visited Mexico in an effort to improve Mexican-American relations and affirm an anti-communist attitude in the southern neighbor. As part of the friendship-building effort, Kennedy instructed his Ambassador to Mexico, Thomas Mann, to negotiate a peaceful resolution to the Chamizal dispute. 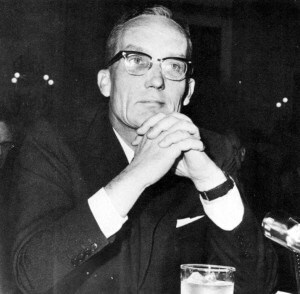 Thomas Mann served as Ambassador to Mexico from 1961-1963 and, in a November 1964 interview with Joe B. Franz, recollects how the Chamizal dispute was tackled. 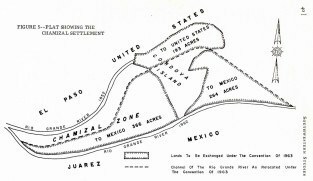 Please follow the links to read more about boundary disputes, U.S.-Mexico relations, or the impact of geography on politics. MANN: Chamizal had been discussed off and on for a hundred years and even more intensely for fifty years, I suppose, since the [1911 Arbitration] award, without any real progress having been made toward the solution (Mann is seen at left). I remember we talked at that time about the possibility of some kind of an arrangement; and we went together, at that time, to El Paso and looked over the ground and explored a number of possible solutions. I explored with the people in El Paso what their wishes and desires might be. That effort came to naught for two reasons, really. There was opposition on the part of the U.S. Boundary and Water Commission — of that time — to any settlement. The Mexican government backed away from active negotiations, I suppose, because of domestic political problems there in the country. So we dropped it. It was an issue highly charged with emotion. It was very difficult for either side really to talk about the merits of the issue without getting involved in some of the emotional issues about what had gone on in the past, and who was right and who was wrong, and what the juridical aspects of the question were, and that sort of thing. We really succeeded by not talking about the past and beginning to look toward the future. When I was assigned to Mexico, we had done some preliminary sounding on a very informal basis and without committing anybody between the foreign office and the Embassy. So when President Kennedy came, the Mexican government let it be known that they were now prepared to negotiate some kind of a settlement. 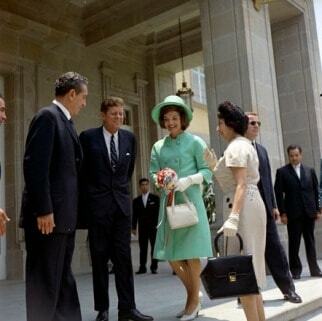 The two Presidents, President [Aldolfo] Lopez-Mateos and President [John F.] Kennedy (seen right with spouses), touched on this in their conversations in a very general way. 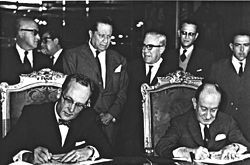 The two Presidents authorized Mr. Manuel Tello, at that time the Foreign Minister, and myself to see what we could do to come up with concrete proposals for a settlement. We started work. We worked quietly and fortunately without any publicity — otherwise I don’t think it would have been possible to reach any settlement — for more than a year. We drew maps. I went to El Paso three times and consulted with people there. The first man that I went to simply on the basis of personal friendship was Sam Young, who was chairman of the board of the El Paso National Bank. He got together his board of directors and they included people from many sectors of El Paso life … who had spent most time studying the legal aspects of the issue and had been very much, prior to that time, opposed to any concessions. He was on the board. I remember a real estate man who probably had some property in the area — and others. I think the feelings were very mixed in the beginning, and I didn’t try to sell the people at El Paso any particular plan. I laid out a map and asked them whether they thought — if a settlement could be reached by redrawing the lines in the way shown on that map — that would be good or bad for their hometown. That’s the way we started. Well, the map that we started working with showed the river — I think it was an aerial photograph as it then was, and the boundary as it then was — with Cordova [Island] and the Chamizal tract; and superimposed on that were possible new boundary lines which gave part of Cordova Island, which was Mexican territory, to the U. S. in exchange for land farther down the river and which gave a substantial part of the Chamizal to Mexico. Toward the end, the people who were most vocal in their opposition to it were the Mexican-Americans in El Paso, strangely enough. Largely because some of them lived in the area, I think. I must say — to leave that last statement in balance — that the LULACS [League of United Latin American Citizens] and other organizations supported this from the beginning. I’m talking about a local situation. I met with a group, I suppose two or three hundred people, who lived in the area; and there was some organized opposition to it on a small basis. I remember we debated before the press in Spanish — because not many of them spoke English—what the issues were and why we thought we should make a settlement. My impression was—we did not take a vote—my impression was at the end of that two hour discussion that we had more than 50 percent of the people with us…and in the town of El Paso itself, I think a much larger percentage. Then, on the basis of that, once El Paso was convinced that this was in their interest, Judge Hardy went with me to Austin and we talked with the Governor [John Connally] and with the Attorney General [Waggoner Carr] whom I found in Laredo. Governor Connally…was recovering, I remember, from an operation and received us in the hospital and gave us his support. The Attorney General likewise. Then I went to Houston and talked with representatives of the press — the Texas press — from Dallas and Ft. Worth and Waco and other places, as well as Houston, and showed them the maps. All of this was done without any publicity. I think that’s the most interesting thing! We didn’t exacerbate prejudices and feelings until we were pretty close to an agreement. We got a lot of support there. In fact, there was no opposition to it in Texas. Then, once Texas was convinced that this was the right thing to do, there was no difficulty up here in the Senate. I expressed the opinion that we had every reason to live up to our treaty obligations. 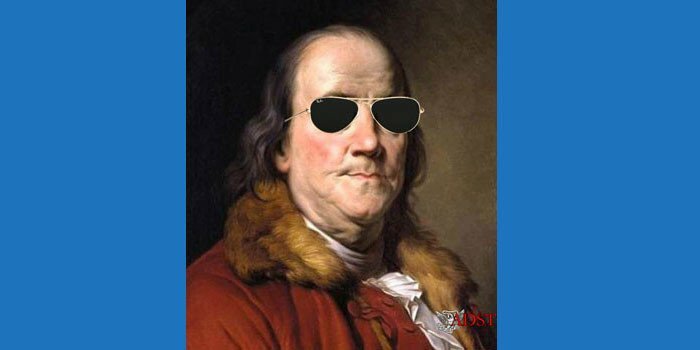 We live in a contract society, and the U.S. above all has a great deal to gain by encouraging a respect for law and respect for contracts, and that this issue was more important than the few acres of land involved. And it wasn’t a big tract. [It] was a problem of negotiating a fair agreement on the basis of give-and-take. We didn’t get everything we wanted, and they didn’t get everything they wanted. We negotiated hard on that, and I think what came out of it was something which was good for Juarez, good for El Paso, and good for Chihuahua, and the State of Texas. I think we had an extraordinarily dedicated and talented Foreign Minister who thought that this should be done, and I felt strongly that it should be done in the broader interests of both countries. We are neighbors, and this had been a thorn in our side exploited by nationalists and Communists and everybody else for fifty years, a constant source of friction in relations we thought ought to be removed. There are a number of other small tracts, up and down the river, that I’m hopeful can be settled too. The title to those is in dispute. They’re not really different from the Chamizal. Occasioned by river changes and the juridical question is whether the changes were abrupt or whether they were gradual. Sometimes these changes are neither all that abrupt nor all that gradual and then you get into courts. None of these, fortunately, are surrounded with the same emotions that were built up in this hundred-year old debate … Between the two cities, between the two states, and between the two countries.